The project aims to support the supply of genetically diverse tree stock, helping to limit the threat from pests and diseases including ash dieback. Once established as a business, the nursery would supply stock to local organisations (e.g. Forestry Commission, Wildlife Trusts, Thames Chase Trust, local authorities, local communities) and contribute towards other Landscape Partnership Scheme projects in relation to hedgerow and woodland restoration. The nursery could also act as a source for restoration planting and future management by cloning trees from parkland. For example, the business could seek to grow on cloned elm which is more resistant to disease and market this locally to landowners involved in hedgerow management. 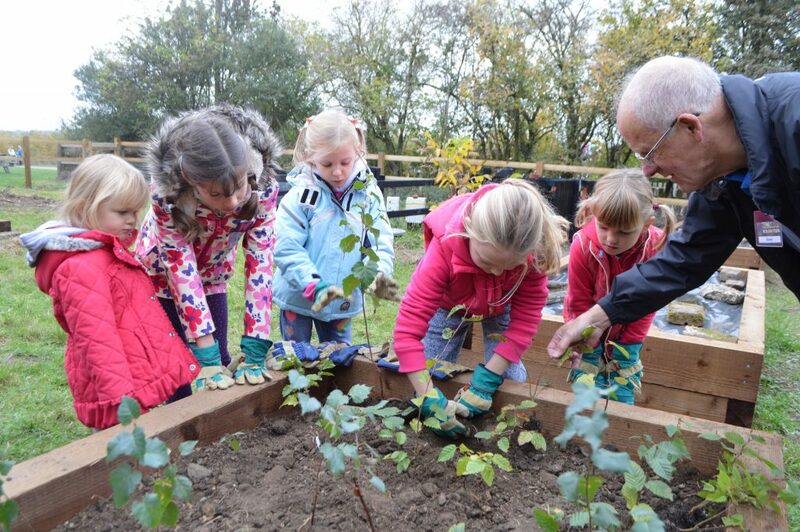 The tree nursery would also offer opportunities for education and community involvement. For some time now the Thames Chase Trust has had an ambition to grow its own locally sourced native trees and shrubs. The Thames Chase Trust and its partners are continuing to seek every opportunity to plant trees in an area which still has degraded countryside as a result of gravel extraction, as well as less tree cover across the landscape than was historically present. Chalara and other recent examples of ‘foreign pathogens’ have demonstrated just how important it is to encourage this variability. It is true that there is much debate currently as to whether account should be taken of potential changes to the climate within the lifetime a forest trees. However, while there remains such uncertainty surrounding those effects, it seems a worthy ambition at least to have a proportion of tree and shrub cover on newly planted sites that reflect the genetic make-up of existing semi natural ancient woodland. These efforts could be linked to tree and hedge planting efforts through the wider LOTF LPS, with a focus on module grown trees for ease of planting and improved survival rates. Just as many children do not realise where milk comes from, the whole process of the creation of woodland from seed to fully-grown trees is, for many young students not a familiar phenomenon. Collecting, preparing, sowing and growing on trees and shrubs can provide an ideal opportunity for learning, not just about the whole business of raising plants from seed, but also about the whole history of local woodlands and landscape and the many uses to which woodland was put in former days as well as in the present day. Setting up a local nursery to grow trees and shrubs using seed gathered locally, would provide the ideal opportunity to involve local children with the whole life cycle of tree growing. For the enterprise that the Trust envisages to be, not only viable but also to fulfil the legacy aspirations of Land of the Fanns, there will need to be much involvement of the local community. Using volunteers to help with seed collection, growing on and tending the growing plants as well as marketing, will provide opportunities for acquiring skills, learning about the natural environment and engaging in healthy outdoor activity. The Trust already has a band of conservation volunteers, but see this as an opportunity to expand this group to include a whole new group focussed on the nursery. Project delivery would be in three phases. The first phase will require the confirmation of a tree nursery location, potentially at Belhus Chase in Thurrock following preliminary discussions with the Woodland Trust. Once selected, a business planning process would develop this further by establishing market and supply conditions, services to be offered and to scope out likely start-up costs and income to develop financial forecasts. Provided that the business planning exercise indicates that the business is potentially viable, the project will progress to the next phase. This is likely to be an external commission. Phase two is about establishing the business through setting up a suitable social enterprise structure and acquiring the necessary equipment, materials and other capital items to start it off. This includes pump priming a paid role to start up and maintain the business once on a more secure footing. The operation would offer opportunities for people to volunteer. The use of grant funding would need to be paid back to a ‘legacy fund’ over a longer period of time. Phase three would see any surplus generated linked to HLF 10-year management and maintenance plans where appropriate. As a non-for-profit commercial operation benefiting from HLF investment, any surplus will be directed to support the wider legacy plans for the scheme once the HLF funded programme comes to an end.